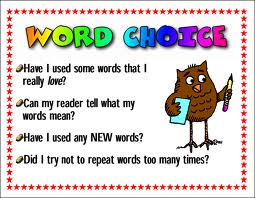 Word Choice is the use of rich, colourful, precise language that communicates not just in a functional way, but in a way that moves and enlightens the reader. 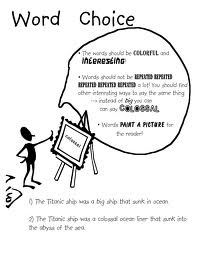 In descriptive writing, strong word choice resulting in imagery, especially sensory, show-me writing, clarifies and expands ideas. 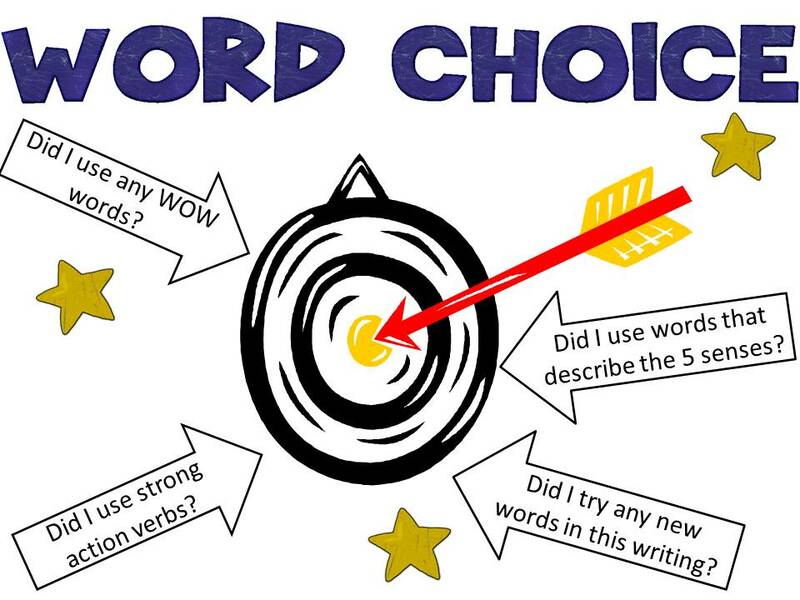 In persuasive writing, purposeful word choice moves the reader to a new vision of ideas. In all modes of writing figurative language such as metaphors, similes and analogies articulate, enhance, and enrich the content. Strong word choice is characterised not so much by an exceptional vocabulary chosen to impress the reader, but more by the skill to use everyday words well.